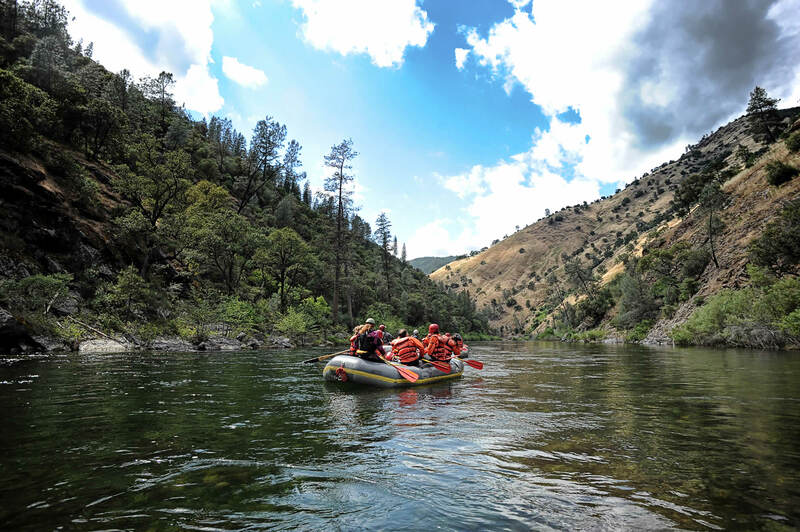 A rafting trip on the Copper River is a true expedition, typically lasting from one to two weeks, depending on the number of side hikes and helicopter sightseeing tours. The river cuts through both the Wrangell and the Chugach mountain ranges and picks up a huge volume of water as crystal streams and waterfalls pour into the silt-filled river on its 287 mile journey to the Pacific Ocean. 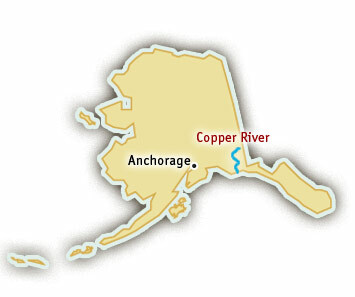 The Copper River is not a whitewater run. Its Class I-II riffles offer a gentle way to relax and enjoy the unfolding scenery. Nature lovers will enjoy the rich populations of riverine mammals frequently spied on Copper River rafting adventures. Beaver, otters and seals all live in the riparian environment. Birders will appreciate the Arctic Terns, high-flying eagles, and other waterfowl that fill the air of the Copper River’s valleys. Dramatic “calving” often takes place near glaciers as huge chunks of ice fall off the frozen faces of these dramatic features in the Alaskan wilderness. Trips take place during the long Alaskan summer and, weather permitting, the Northern Lights can sometimes be seen during the brief night.